Rumours are very, very powerful. They spread like wild fire and are often lapped up quickly, just as a very hungry man would eat any food that comes his way without bothering to find out where it comes from. It is the easiest thing in the world to hear a rumour and begin to spread it around adding and subtracting from it according to what people want to hear, especially if it is tasty. It is a harder thing however to seek to find out the truth about something and respect that, neither adding to it nor subtracting from it. Right from time, man has loved to gossip; we all have itching ears, eager to hear the latest, especially if it is defaming someone's persona. Prophetic revelations and predictions from ‘men of God' are among the most tampered with, misused, assumed upon and spread through various media forms, particularly here in Africa. 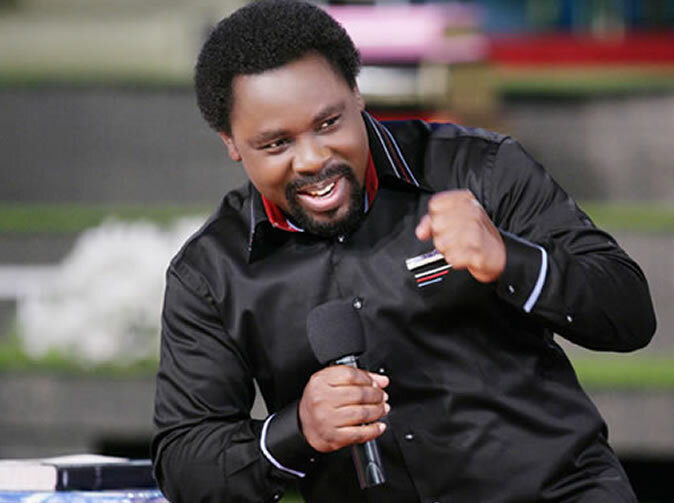 The renowned prophet TB Joshua of The Synagogue, Church Of All Nations Nigeria is among those whose prophecies are grabbed, twisted, changed and spread round like there's no tomorrow. Why so much controversy? Why so much interest? Why is everyone talking about this man? Is he a false prophet or genuinely sent from God? One thing is clear, opinions vary widely. While some praise him from the housetops, others vilify him as if he is the cause of all evil and pain in this world. TB Joshua is certainly unpredictable. Almost every week, he will speak of what God has revealed to him covering almost every aspect of life – from the death of a president, to the outbreak of protests, to the results of a football match! I decided to check TB Joshua out in the clear cold light of day. I started to watch his live broadcasts on his channel Emmanuel TV every week, taking particular note of the time for world prophecy. As the AFCON 2012 came closer, I was eager to hear what this man would say, as it seems as if in the past he has predicted the outcome of many matches in big tournaments, most recently saying that Nigeria would not qualify – something that was confirmed in their disappointing match ">against Guinea. Despite this seeming confirmation of prophecy, I was incredibly cynical of this man and saw any prediction I would witness as an opportunity to lash him and condemn him once and for all. Even before the tournament started, the internet and some newspapers in our country Zambia was littered with news that both TB Joshua and a South African Sangoma had predicted that Zambia would take the cup. I knew however that this was false as I had scrutinised his prophecies closely and he had not mentioned a word about the coming tournament. As I write, some still believe this report that TB Joshua agreed with a Sangoma. It reached the day of the match and TB Joshua had not yet spoken. I relaxed, assuming that God decided not to reveal the result to his "servant" at this time. It was Sunday February 12th 2012, I was watching Emmanuel TV but as soon as the match started, I excitedly switched over to watch it, eager to see my country performing. After about 5 minutes, I instinctively switched over to Emmanuel TV again to confirm if the service was over and literally could not believe my ears. TB Joshua was talking about the match! He said that he could see the victory coming to a country that was not expected, that it would make them smile because of the past record and the victims. ">He went further to say that somebody would miss an open goal 25 minutes into the second half and that people would be shouting, questioning how he could miss such an easy chance. At last, this was my opportunity to test TB Joshua's prophetic prowess, I switched back to the game and settled down to watch. I agreed in my mind that the result of this game would determine for me whether this man was of God or not. Interestingly enough, 25 minutes into the second half, at the 70th minute, Drogba missed a penalty and then Zambia went on to take the cup after a nail-biting penalty shootout, providing succour to the grief that has been prevalent since the death of the nation's team in a plane crash in Gabon, 1993. What could I say? Someone had missed an open goal 25 minutes into the second half and the team that nobody had expected, the underdogs, the least favourite sealed the victory. My incredibly sceptical mind towards TB Joshua suffered a severe battering and I went on my knees in bitter tears begging my God for forgiveness for misjudging his servant and opening my big mouth to speak of what I knew not. So, what can be said about this man? Many believe him, many don't. Some say he is deceiving, some say he is speaking of the devil. But I have come to a conviction that this man is a God-send to this generation. I believe that the more TB Joshua's prophecies are exposed, the more they will silence the cynical as they eventually managed to silence me. But some, however many more prophecies are spoken and confirmed will still not believe. Why? Because they refuse to believe. They have chosen to harden their hearts so much that not even a nail could penetrate through. Those who are just stumbling onto this man and wish to come to your own conclusions as I did, unbiased and untainted by what you have read or heard, just check out two of the recent yet to be fulfilled prophecies of this man. Or why don't you find time to watch his channel on a Sunday and hear his predictions live and raw and monitor their outcomes? After reading this, some may disregard it immediately as a piece of propaganda and continue to rain curses on this man, others may continue to speak of his authenticity. There is one thing you can't do however – and that is to ignore him, sweep him under a carpet as if you had never heard of him. Why? Because years down the line, your conscience will continue to niggle you, irritate you - why did you not find out the truth about this man? Was it all that difficult? Find out so you will have a definitive answer to give, if and only if the Lord asks you about it when you stand before Him on the last day.